Excellent educational toy to encourage active physical play and number recognition. Great gift idea for babies, infants, boys, girls, preschool kids, toddlers, children, preschoolers. Unisex toy. 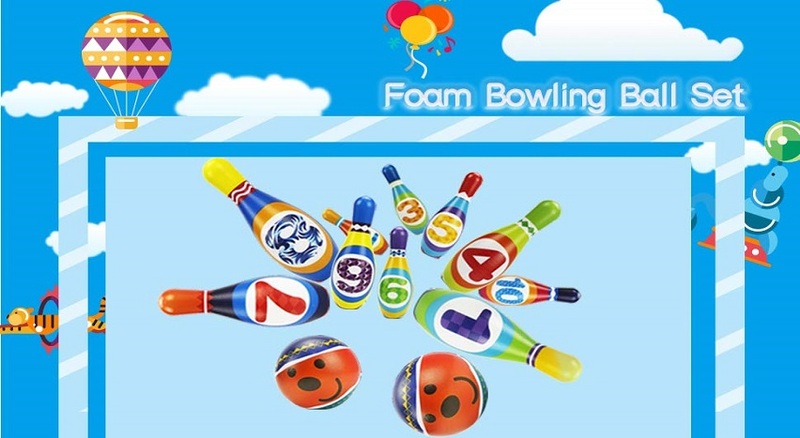 This foam Bowling Set is especially helpful for eye/hand co-ordination, fine finger and gross motor skills, and will encourage children to learn numbers and master color recognition. Children will gain self-esteem as they learn to knock over the pins, and they can engage in team play that will improve their communication skills, their social skills and life skills.